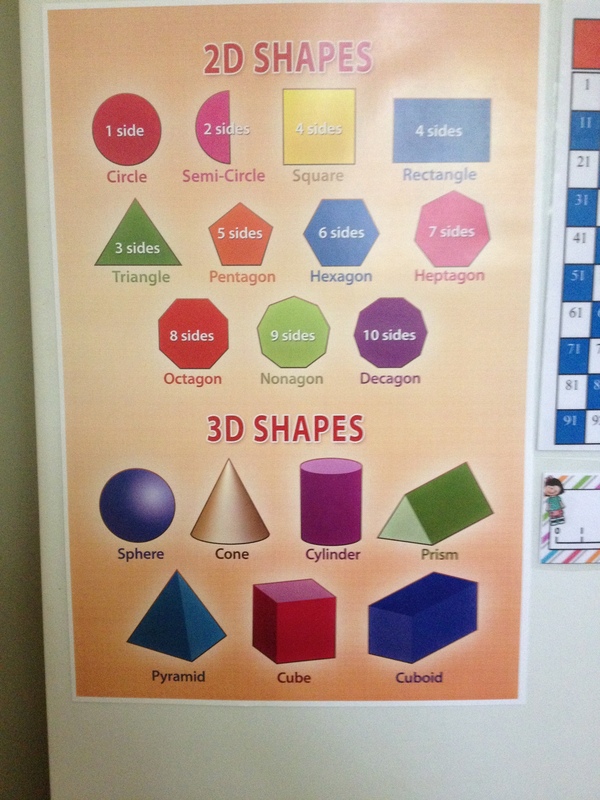 As soon as I put this poster up on the fridge my 39 month old became very curious about the names of all the shapes on the poster especially the 3D shapes. 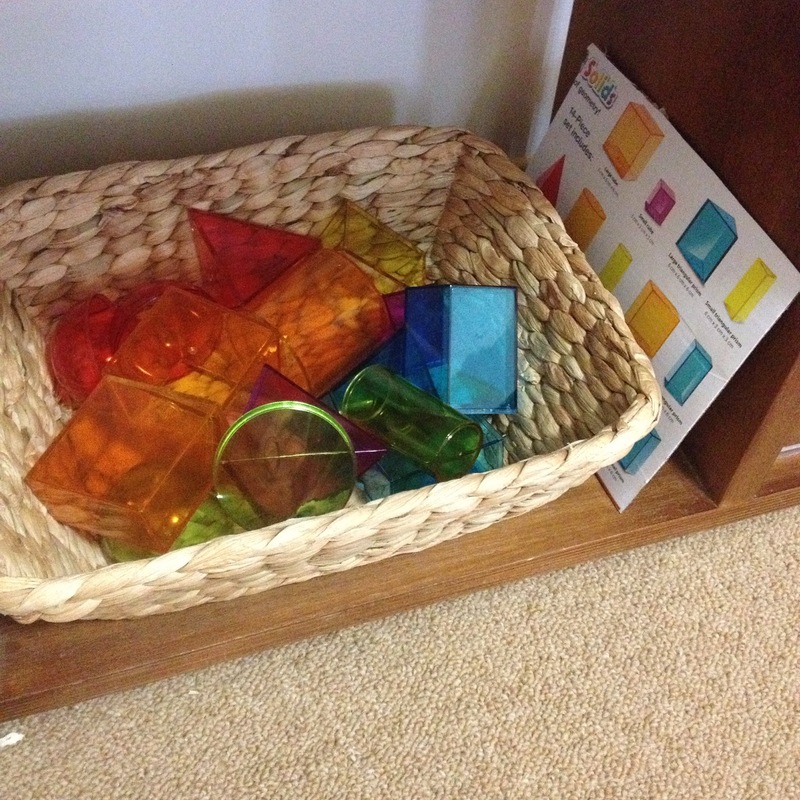 I have kept some 3D wooden shapes (geometric solids) in a bag Stereognostic/mystery bag’ on a tray on one of the materials shelf for some time now as they are great for sensory discovery. 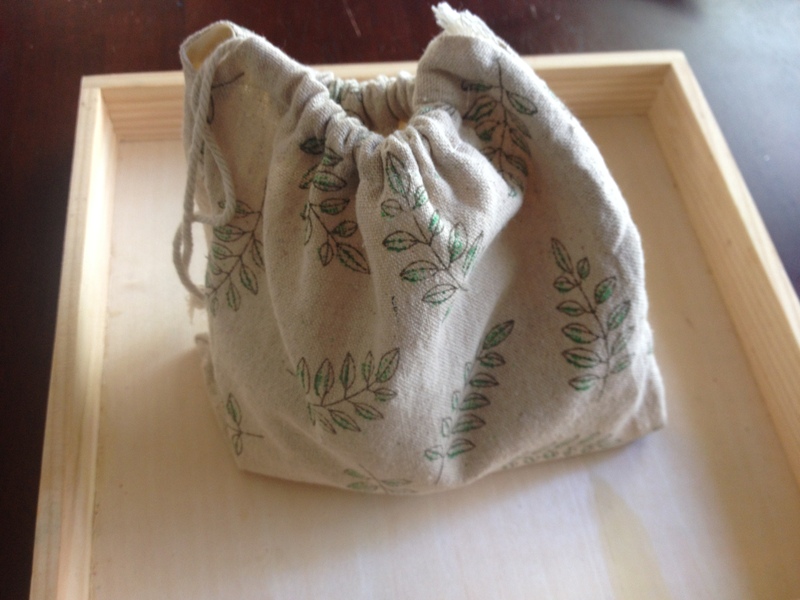 These were used in a discovery basket when my daughter was a toddler and has also been used for the same purpose for my 15 month old recently. 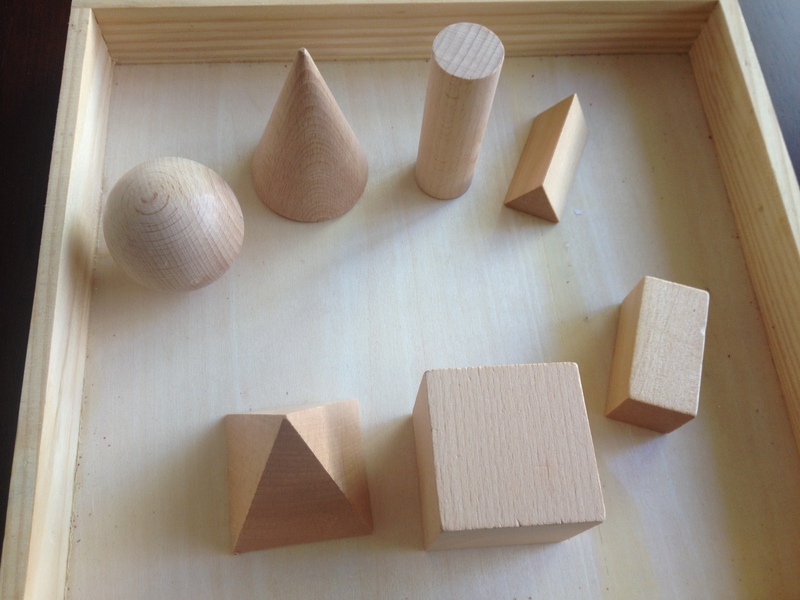 We have looked at each of these shapes individually in the past as opposed to looking at them for the first time all together, but today was more about matching the shapes with what she saw on the poster and looking at and feeling the shapes one by one. 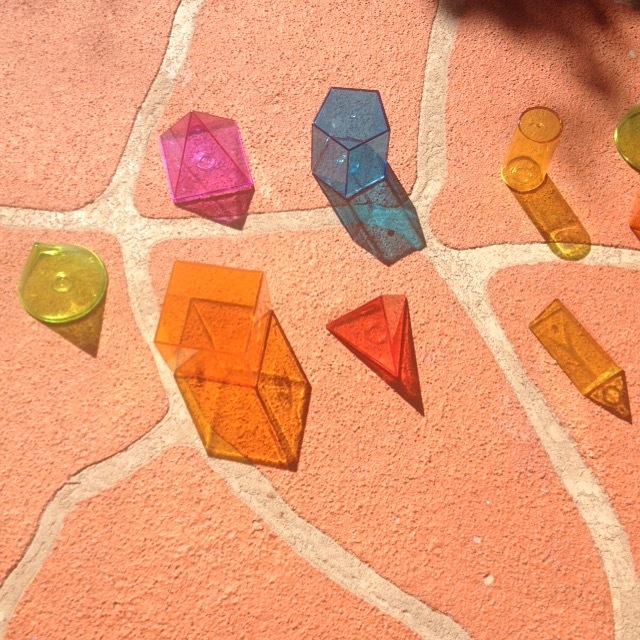 I gave the name of each shape that was looked at. 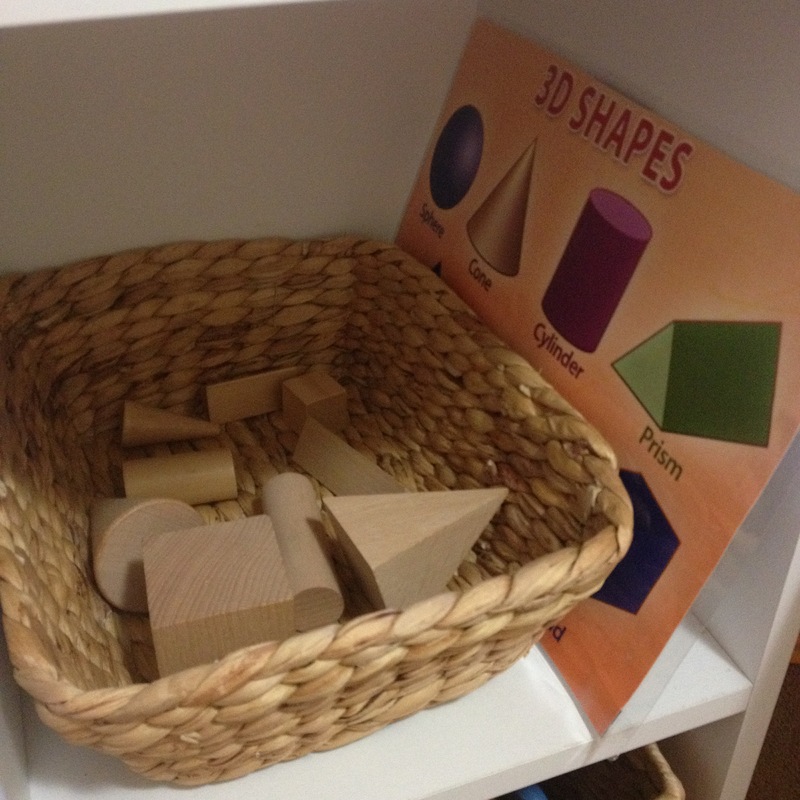 There is lots of extension activities one could use with these shapes but we are keeping it simple for now.